A Cook County, Illinois, jail inmate has cost taxpayers at least $2 million in the last several months because of his habit of eating metal objects. According to WBBM-TV’s Dave Savini, the inmate — Lamont Cathey — swallows any and all metal objects he can get his hands on. On Tuesday, Cathey, who has been in and out of jail, according to the station, was moved from from Loyola Medical Center in Chicago to Cook County’s Stroger Hospital after spending three months at Loyola. Savini reports that Cathey is under guard 24-hours a day, seven days a week. In addition to being in and out of jail, Cathey has also been in and out of hospitals over the last couple of years for continuing to eat metal objects. According to Cathey’s mother, Lorine Barber, Cathey had approximately 20 surgeries to correct complications his metal ingestion has reportedly caused. Barber said that her son simply doesn’t care, and needs help, and will eat anything from nails and screws to “pieces of whatever fall off the benches” and paint. “As opposed to fast-tracking the case and getting him into a mental health facility, we have him in this legal limbo,” Dart said, according to WBBM. Dart said that he flagged Cathey’s case when he returned to custody in order to help expedite a trial. “Instead, here I sit three months later and his case is no closer to being resolved,” Dart explained, and noted that he wanted Cathey’s mental health evaluated. However, it’s a catch-22, as Cathey cannot be declared mentally unfit unless he has a court hearing, and he can’t have a court hearing as long as remains hospitalized for eating metal objects. According to Savini’s report — as well as a 2016 report about the same issue — Cathey isn’t the only Cook County inmate who is bent on swallowing metal objects. 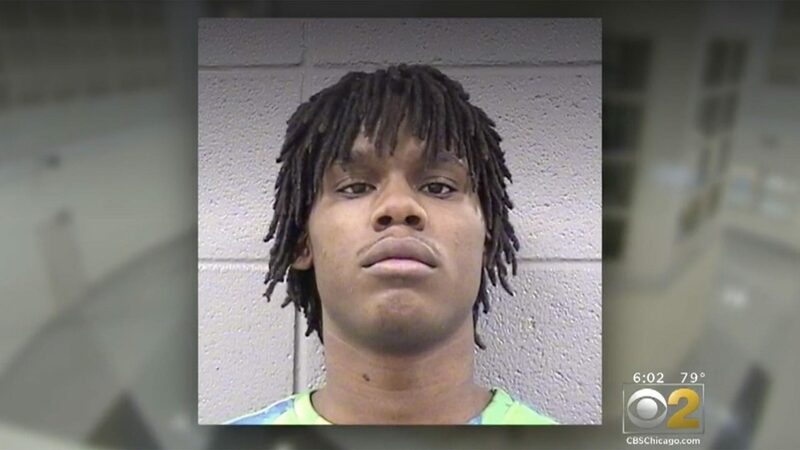 The report alleged that other Cook County inmates have done similar things in order to simply get out of jail, whether it be to go to the hospital for treatment or elsewhere for psychiatric evaluation. According to WBBM’s reporting on the topic, jail records indicate that “multiple inmates” have swallowed bits of metal and other foreign objects over the years. Metal-eaters are reportedly moved to special cells with concrete beds and are supposed to be unable to swallow metal objects. Dart says it still happens, though. The amount of that sum due to metal-eating remains undetermined.